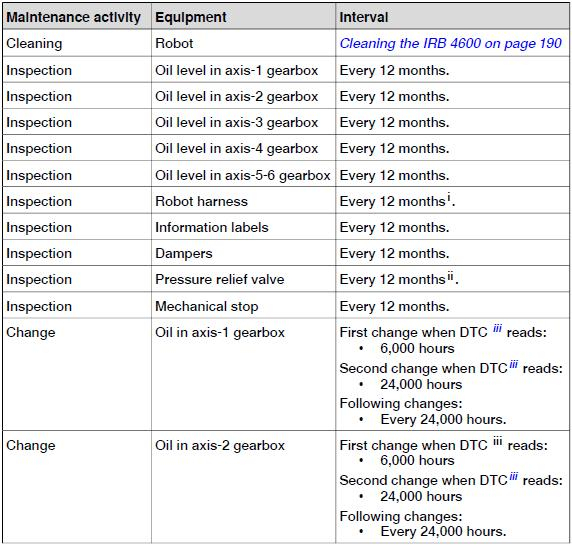 We have in our factory IRB 4600 M2004 Robot and we use it for spraying swimming pools, we are wondering when and how do you perform regular a regular Maintenance for IRB 4600 M2004 Robot? 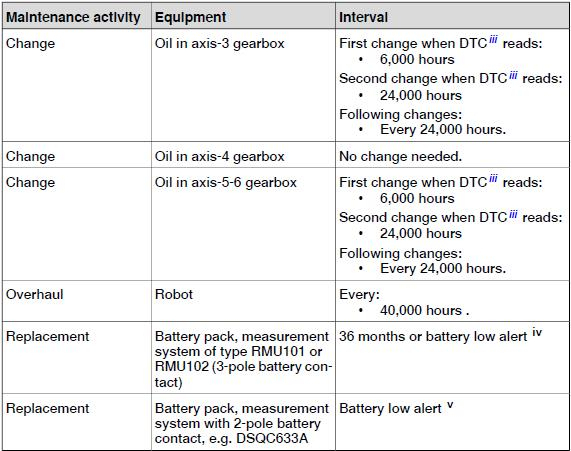 Here is a maintenance schedule as attached and refer to Product Manual IRB4600 for details. thank you for your replay, it is very helpful. Yes the product manual contains the details.